I’ve recently reached that point in my life with dyslexia, a realization actually, that this is as good as it gets. What do I mean by that? Although I have definite strengths that I’ve been able to use to my advantage, there are quite a few things that I’ll never be able to do well or quickly. I get frustrated when I’m just finishing the first chapter of a book in the time it takes the average person to read the entire book. Then there’s my difficulty with sequencing—I’ll never make a good file clerk because I’d be reciting the alphabet all day long to remember where each letter falls in the sequence. I have problems with my sense of direction—determining the points of a compass while driving never works well. Sequencing issues also show up while driving and trying to follow directions. If I’m told more than 2 turns ahead, I can’t keep it all in order. Or the searing panic and frustration I feel when someone sends me a lengthy document and breezily says, “I need your feedback on that in 10 minutes.” And the list goes on. I’ll never read faster than I do right now. My spelling will always be inconsistent, and words never look quite ‘right’ even when I haven’t misspelled them. Writing, like reading, will always be laborious and time consuming, never automatic. These are areas where I have to accept the fact that this is as good as it gets. Dyslexia is something you need to own and accept. It’s always with you. It never goes away. Owning it is not an easy thing to do, especially when you’ve spent a lifetime dancing around the problem, trying to compensate, doing your best to appear ‘normal’ so your vulnerability doesn’t show. Owning our own ‘stuff’ is the only way out of the shame that has accrued throughout a lifetime as a result of ridicule. Coming to terms with the things we can’t change is an important part of authentic maturity, and fosters a peaceful heart that can learn to cope with the fact that life is never going to be fair. Perspective is a great place to start. For example, around 151,000 people die each day. If any of them were first offered an opportunity to trade places with one of us dyslexics for a chance to live even a little bit longer, they would jump at the opportunity, no matter what the cost or what kind of a hot mess our life might seem to us. Life is precious and oh-so-finite, averaging a mere 27,000 days long, and the better we can become at appreciating the good things we have and can accomplish, the more we can learn to be ok with the things we would not have chosen about ourselves. Do we have two working eyes with which to view the sunset and the faces of our loved ones? Or two ears that can hear the breeze rustling the leaves this fall, or birdsong, or a Bach partita? Are we mobile enough to get around on our own steam? Can we still enjoy a delicious meal with good friends? Have we ever performed an act of kindness for a fellow human or even for an animal? Of course we have. All these things are miraculous gifts. They connect us with our world—and that’s key to coping with many conditions where one feels isolated and alone inside their own less-than-perfect head. For older children and adults that didn’t get the right kind of assistance at an optimal age, what would be of practical help? Here’s a list of practical tips as well as links to some of my previous blogs that may provide further details. Understand what dyslexia is and isn’t. Take inventory of your strengths and weaknesses. Ask a trusted friend for input. Leverage your strengths by crafting a learning/working environment designed for success. Celebrate victories and accomplishments, certainly, but also validate yourself for diligent effort. Dealing with dyslexia involves valuing effort, not just results. Identify and acknowledge what you are passionate about to boost motivation and drive action. Develop tenacity: there are aspects in the lives of all humans where we have to work a little harder than others to accomplish required tasks. I’d love to hear your stories about coming to terms with dyslexia or other challenges you have faced. You are so right. Parents can help their dyslexic children improve their reading and writing to the best of their ability. Then get accommodations for the issues that remain. Then, most importantly, help their children discover their true gifts and develop them. Thank you for that acknowledgement. I took a look your website and I’m impressed with the work you are doing and would love to interview you for our blog. I have learned a lot about dyslexia, I have had to. I was a teacher for ten years and never taught about how dyslexia affects learning styles; about poor working memory, poor auditory processing, colour overlays, nothing. Evidently my son’s teachers are in the same boat. He had daily pracitce in how to not hold his pencil and how to not spell. He had frequent comments in the margins of his book to “check spelling here.” He wasn’t awware of what the correct spelling was let alone where the mistakes were. Strangely the most informed people I have come across are the Music exam board who are overseeing a music exam he is taking in four weeks’ time. He has dyselxia: does he need extra processing time? He can have the his scale book in with him for reference. We can photo copy the sightreading pieces onto any colour of paper you need. Would he like them enlarged? He can have instructions repeated if needed. Just ask the examiner. Thank you for being a voice for people with dyslexia and for offering support and advice to those affected by it. Fiona, thank you for sharing your son’s/husband’s and your experience. And you’re so right: dyslexics tend to be very bright, and teachers are rarely taught how to teach us. Tears and frustration are always part of the dyslexia package, and shame is almost always a common denominator as well. Feelings of inadequacy and brokenness, and frustration with the unfairness of it all (especially as kids become aware of the gap between their abilities and those of non-dyslexics) can easily define us if we don’t learn to manage those feelings. I applaud you for learning all you can about dyslexia, and for making a priority of your son’s education. Striking a balance between beloved topics like science and history and those that are more labor intensive is wise. It’s important that he get the feeling of learning something new that really lights up his brain every day. As he develops his identity as a learner, reader, and writer, he will tap into the motivation needed to persevere through the mechanical challenges of his dyslexia. It sounds as if your son has trouble sequencing, as do many of us. In other words, he will have less frustration if his instructions or tasks are given one or two at a time, rather than in a lengthy sequence of multiple steps all at once. We don’t sort well ‘on the fly’ as it were, or remember multiple steps well. Please keep in touch, refer often to this blog for tips and suggestions, and encourage your son to contact me as well. What is his name? This is exactly how I feel. Thank you for your thoughts and helping me for realiseing my dyslexia is a part of me. It is fulsrating dealing with the everyday stuff, directions, instructions, and sequencing stuff like that. You say you have dyslexia to people and they think you cant read and write but that is such a small part of it for me. It is the everything day stuff that gets to me the most. I can read slowly but I can read. I have to use the computer to write not a chancd anyone is seeing my notebook! But I get by. Explainig to people the instruction thing they just think I am making up excuses. I am also a very loud talker but I don’t know I am being loud I was wondering if that had anything to do with my dyslexia? Its like I have an idea and a way of expressing it (talking) so I need to get it out of me before I explode! Hi Donna, thanks for sharing. As you observe, one of the most frustrating things about dyslexia is the misapprehension non-dyslexics have regarding our condition and what that means to us in the home and workplace. Unfortunately the world is still hallmarked with folks who eagerly jump to conclusions about the motivation, work ethic, or self-discipline of others who have trouble keeping pace with them. But as we all work to educate the world about dyslexia, hopefully our environment will change to one of compassion and patient understanding. I’m curious about your observation of your voice, and how you feel about the things you’d like to say. I remember something in a book by Norman Doidge , “The Brain’s Way of Healing” about some people with dyslexia having more pronounced hearing in one ear, rather than a matched hearing level. I’ll see if I can find that for you this weekend. Hi Donna, Here’s the reference: Chapter 8 entitled “Teh Bridge of Sound” of the book “The Brain’s Way of Healing” Norman Doidge MD re the hearing differences between the two sides that often complicate the learning process. I’m a dyslexic teacher. That’s right I’m a teacher with dyslexia! It’s only in the last couple of years that I’ve been able to admit that. Now, however, I’m finally ‘owning’ it as the above article states. In the 17 years that I have been a teacher, I have become a phonic specialist and I am finely tuned in spotting those like me, who, cannot spell consistently or follow more than two instructions at once. I have achieved because of my dyslexia not inspite of it. It has always taken me longer to complete tasks not just those connected to reading, writing and spelling so now I just give myself a longer period of time to complete a task and I get by. As a visual learner I have learnt to create pictures within words to help me retain spellings eg for years I spelt the word ‘independent’ wrong. Now I visualise myself in a ‘den’. We dyslexics have many coping mechanisms and it’s a good job we have. Emma, it’s so good to hear from you. I applaud your transparency around your own dyslexia, and can only imagine that your experience with it will enrich the lives of your students. Also you will be keener than most at discerning early warning signs in your pupils, which as we both know is so key. Keep up the good work! Hi .i diddent find out I was dyslexic till I was 37years old it’s been a struggle.all my life .expecaly with things in sequence .and remembering now .i can read and wright but spelling is terrible.without a spell corrector .but even then I don’t now what word to choose.it is nice to read other peopls comments.i don’t tell people I componsate in other ways x it’s a struggle .i get em barest a lot and realy angry with myself.there is no place were I live that I can go for help. Hi Rose. Thank you so much for your reply. Of all of us, I think those that don’t discover their dyslexia until adulthood have a special, silent suffering. Embarrassment and anger are part of the experience until we can come to terms with the way things are, and the way they’re going to be. Once we do that work, it’s a little easier to laugh at ourselves with kind affection than to respond with anger over what we can’t change. Some areas are poorly represented in terms of support for dyslexia. Thankfully there is the Internet, with near-unlimited resources at our disposal. Please look through the blog archives here for a number of helpful resources, and, as always, if I can be of help, let me know. I found out I had dyslexia when I was in 6th grade, when I was in 11th grade I wanted to do running start and my counselor told me that there was no way i would ever go to college and I would be lucky to graduate high school. Because of him I worked harder to read better and when I took the test for the community college I was reading and comprehending at a college level and am work on my 2nd degree. I suspect my daughter has dyslexia and am working with her so that she doesn’t experience what I did. I am thankful for the counselor that told me I wouldn’t amount to much because of him I have been able to do more then I ever thought I would. Thank you for this article, I am navigating this world with my daughter. This is so true i wish the world could see through our eyes for just one day. To most people this is just laziness,or an excuse to get out of doing something. I also work with learning disabilities and this is one of the most overlooked disability. it seems as if these students and i have our own way of communication and understanding. I am dyslexic. I graduated 3rd in my high school class, earned a master’s degree and I have a successful job. The only way I have done as well as I have is due to my tenacity. After 14 years of being a physical therapist, I am still the last one to finish my notes (that will never change), I still can’t follow instructions for sewing or baking. It infuriates my husband because he thinks I should just be able to do it. Thank you for your article. It is helpful to recognize our limitations and highlight our successes. This article is an answer to silent prayer, thank you. I’m a writer. A dyslexic writer. I found out I was dyslexic two years ago at uni.I wasn’t taught how to cope but only learned that all my word swapping and moments of confusion had a valid reason. I surprise myself all the time, yet I’ve recently found myself in hot waters for what my publisher saw as laziness and negligence. I try my best to omit all mistakes but it’s just never good enough. Now, I look stupid, lazy and like I don’t care about my work. This hurts me like nothing else. If I reveal my dyslexia, I risk being fired. What shall I do? 	Hi Liss, thanks so much for your words of appreciation! It’s so good to know that, in some small way, we are making a difference on this world. The Americans with Disabilities folks can help in the workplace. Revealing your dyslexia may feel too risky, but you are protected by law and it’s really the only way you can be free and get the accommodations you need to be able to do your work with a minimum of disruption. Educating others about dyslexia is the imperative of each of us as sufferers…how else can the world learn that laziness, stupidity, and lack of motivation is the polar opposite of what’s really going on. Indeed, you, I and the rest of the dyslexics have to work far harder to accomplish tasks that many breeze through. I am only one person, and please don’t make major life decisions based on information from someone you’ve never met, but since you asked, I offer the above suggestion for your workplace concerns. Liss, you are not alone. You have a tribe of millions, all of us dealing with similar struggles and frustrations. And we are here for you. Some of us have been walking this path for longer than others, and are therefore in a position to offer support and survival tips. 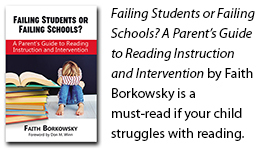 I am a reading educator who specializes in teaching dyslexic students. I very much appreciate your honesty and that of the other bloggers. With your permission, I would like to share and reference your site in order to support my students, their families and educate fellow teachers. Keep up the great work! Hi Kellie, I’m glad you found the article helpful. I would be delighted for you to share any my material with your students and their families. Feel free to check the blog archives for similar material that may be helpful.